Miyako odori (都をどり) is a traditional dance event performed by geishas and maikos. It is annually held in Kyoto in April, 3 times a day. You can enjoy the beautiful geisha dance and drink the great tasting green teas before the dance starts. What is Miyako odori (都をどり)...? Miyako odori (都をどり) is a traditional dance event annually held in Kyoto. Geishas and maikos are the dancers and performers. You can enjoy the beautiful "mai" (舞) performed by them. Miyako odori has a long history that dates back to the Meiji era when the capital of Japan was moved to Tokyo from Kyoto during the Meiji restoration. Miyako odori was made at that time, with the purpose of amusement. Until then, the mai (Geisha dance) was performed only by one or two maikos in a very private room or gathering. The founder of Miyako odori changed this idea and created a totally new style of mai. Miyako odori is constructed in 8 scenes, each of them describing an aspect of Japanese life in Kyoto and the life of Geishas or maikos. Click to reserve your seats! 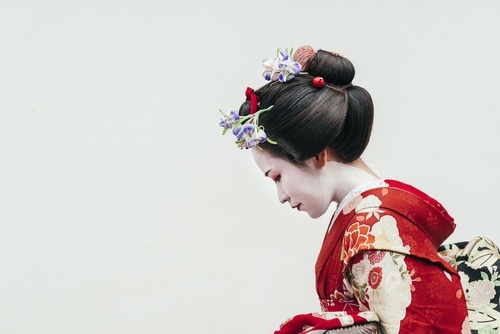 Miyako odori will be held at the Kyoto Art Theater Sunjuza from April 1st to 24th. The dance performance will be held 3 times a day. The nearest station is Gion Shijo. The theater is a 10-minute walk far from the station. Tea time will be available 70 minutes before the dance performance starts. No seats will be available after the performance finishes. The Top 9 Restaurants in Gion, Kyoto For All Budgets! Quite sure I'm a Ramen freak. Almost up to 200ramens in 2017. Not only ramens but also love to eat around and drink around. Love it or Hate it: How to Eat Natto!